Low back pain (LBP) is one of the most common and costly conditions in the world. It ranks as the leading cause of disability, and in 2014, approximately 68.6 million Americans—or 28.6% of the population—reported having LBP for a whole day or more in the prior three months. 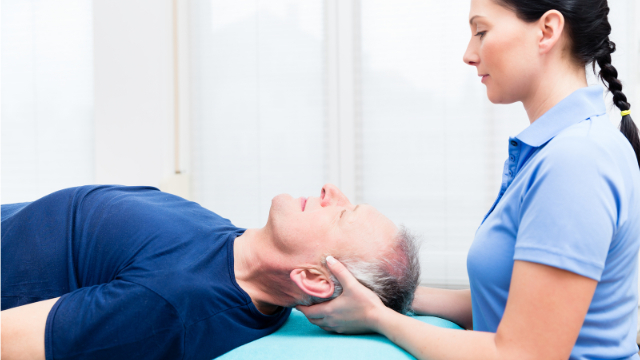 Physical therapy is supported by research as an effective treatment for LBP, and approximately 20% of patients are referred to a physical therapist by their doctor. Although it is generally agreed that these patients should remain active when LBP strikes, there is no consensus on when the best time is for them to begin physical therapy. While some guidelines recommend delaying physical therapy for several weeks, other studies have shown that this approach can cause patients to use more healthcare services and spend more in the process. There is also not a great deal of research on the potential benefits of immediate physical therapy in which patients see a physical therapist within three days of first experiencing LBP. With this in mind, researchers decided to conduct a study to examine healthcare usage and costs when patients receive physical therapy at various points in time. To conduct the study, investigators searched through a large health insurance claims database to identify patients with LBP. After excluding patients for various reasons, this search led to 46,914 fitting the necessary criteria and being accepted into the study. Based on their data, these patients were then divided into five groups depending on whether they received physical therapy and when therapy started: 1) no physical therapy, 2) immediate physical therapy (receiving physical therapy within three days of seeing their doctor), 3) early physical therapy (between 4-14 days), 4) delayed physical therapy (between 15-28 days), 5) late physical therapy (between 29-90 days). With these groups in place, researchers then compared healthcare usage and costs between them to determine if there were any advantages of seeing a physical therapist early. Of the 46,914 patients included in the study, 6,668 (14.2%) received physical therapy within 90 days. Of these patients, 2,052 (30.8%) started immediately, 2,219 (33.3%) did so early, 1,044 (15.7%) were delayed, and 1,353 (20.3%) were placed in the “late physical therapy” group. Comparisons between the patients that received physical therapy showed that those who did so immediately reported the lowest healthcare usage and costs in nearly all outcomes measured. In particular, it was found that these “immediate physical therapy” patients had the lowest opioid and pain medication use, emergency department visits, fewest advanced imaging tests (like MRIs), and lowest non-LBP-related costs. The results also showed that both costs and healthcare usage gradually increased as patients waited longer to begin physical therapy. Based on these findings, it appears that seeing a physical therapist for LBP immediately or early—within 14 days—will lead to the lowest costs and usage of various healthcare services, since physical therapists usually only recommend additional testing or procedures if they are completely necessary. Patients who are currently dealing with LBP are therefore encouraged to see a physical therapist as soon as possible in order to get started on a direct path to recovery without any detours.